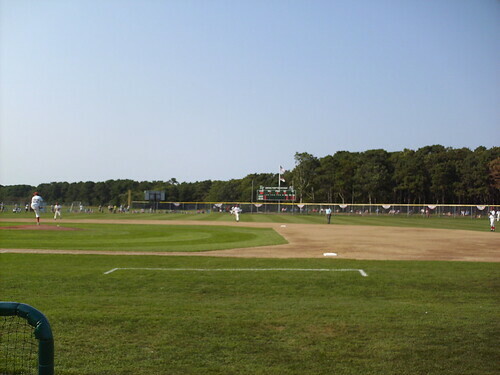 The view from behind home plate at Red Wilson Field. The view from down the third base line. 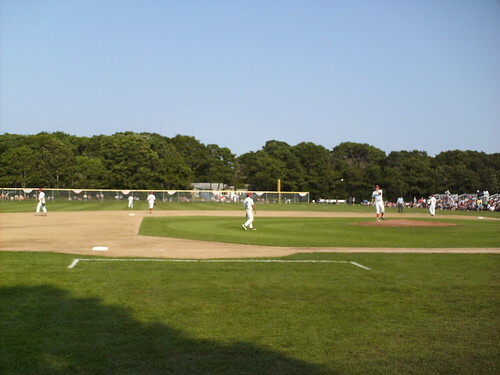 The field backs up against some residential homes. 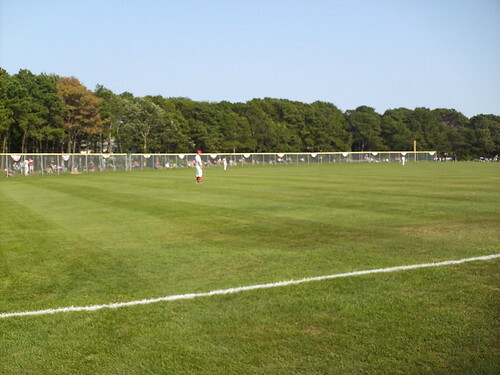 The view from behind the center field fence. 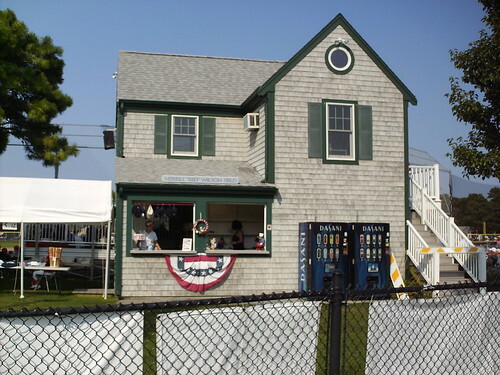 The pressbox sits behind the plate, and the building down the first base line is the concession stand. 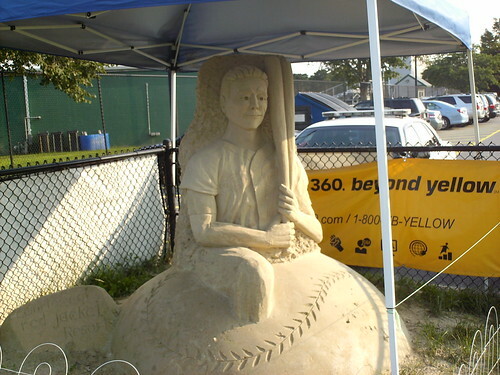 A baseball themed "sand sculpture" style statue sits at the entrance to Red Wilson Field. 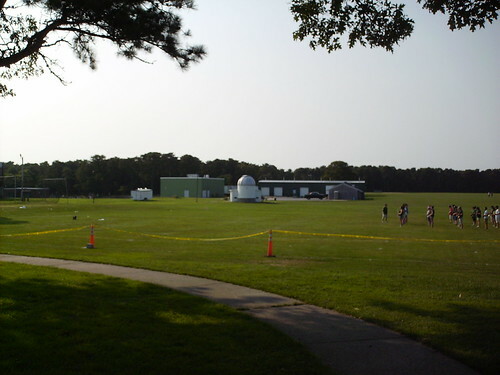 Red Wilson Field is on the campus of Dennis-Yarmouth Regional High School, and is the only field to have an observatory sitting past the outfield fences. 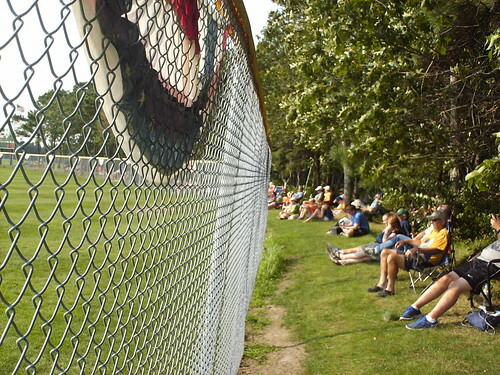 A small bleacher section sits between the pressbox and home plate, and a tree provides shade for some fans in lawn chairs. 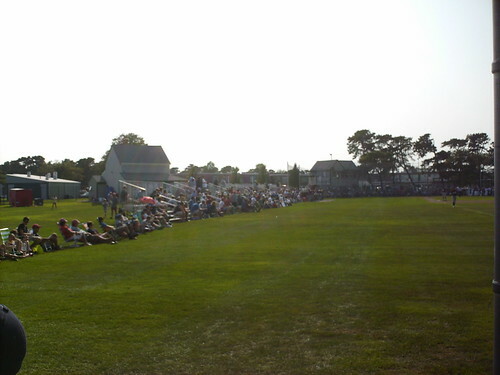 Small individual bleacher sections line the foul lines at Red Wilson Field. There is a large amount of foul territory between the foul line and the fan line. 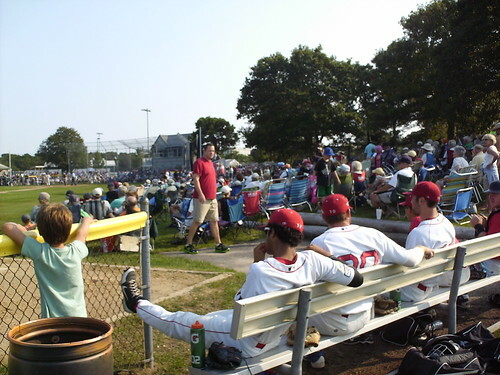 The home bullpen sits right next to a grassy hill, putting the Y-D Red Sox relievers right next to the fans. 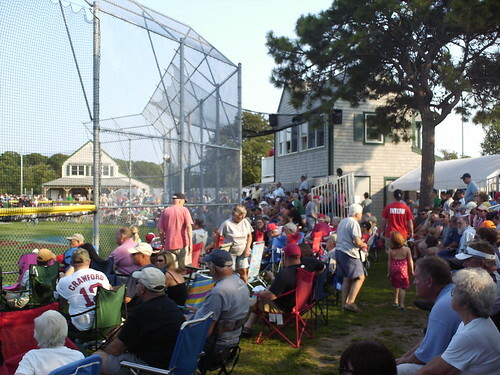 A small grassy hill that runs behind the outfield fence provides a shady place for Cape League fans to set up their lawn chairs. 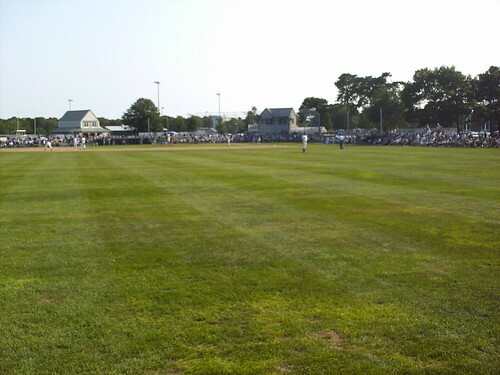 The outfield at Red Wilson Field. 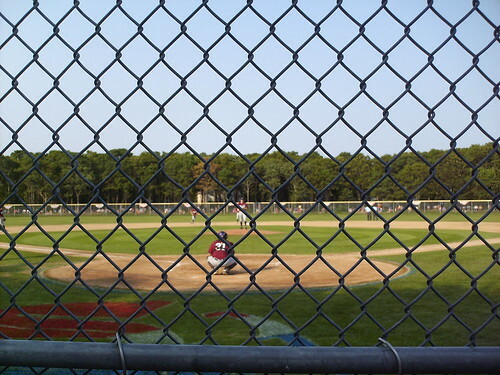 Conspicuously, there are no light stanchions towering over the fence, as Red Wilson Field is one of the few fields still in use at this level with no lighting. All games here are played during the day. 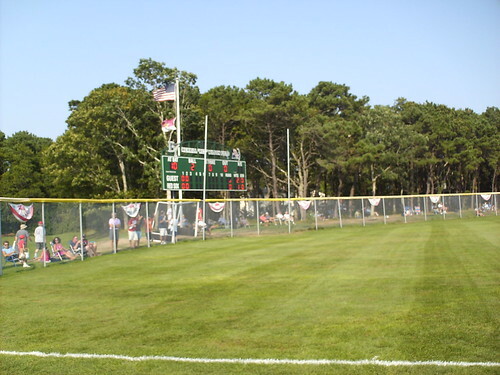 The scoreboard and flagpole sit in the left field corner. 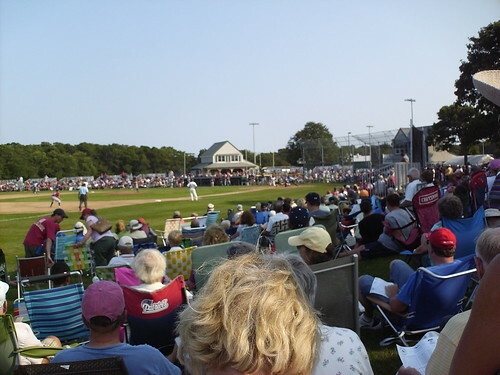 The Yarmouth-Dennis Red Sox on the field in front of a capacity crowd during a Cape Cod League championship game. 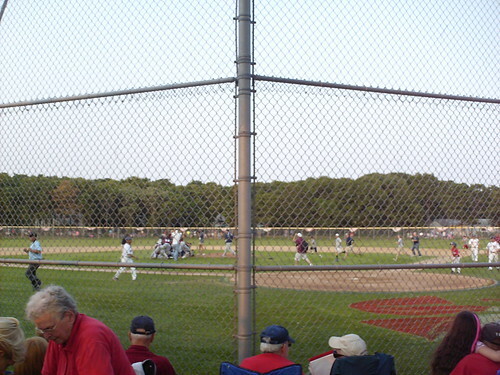 The Wareham Gatemen celebrate winning the 2012 Cape League Championship at Red Wilson Field.